As her new life takes the form of care, cookery, and classic literature,Elizabeth is forced to re-imagine her future and reevaluate her past. But can a New York City chef with a painful history settle down with the family she once abandoned . . . and make peace with the sister who once abandoned her? I loved absolutely everything about Lizzy & Jane beginning with the cover. The story was just so appealing and well written. I am not a closet Jane Austen fan like some people so the fact that her writing was an inspiration for this book wasn't a selling point for me. In fact, I was worried that it might make the book a bit cumbersome to read and yet it did anything but that. 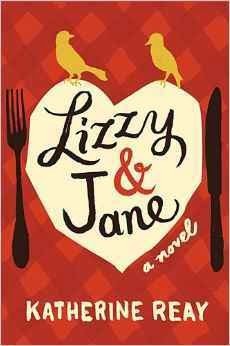 I loved the entire idea of Lizzy & Jane- from the characters, to the writing, to the way the story developed and flowed. I read this book as quickly as I could despite all my other obligations in life because it was just THAT good. The story had a lot of elements and was not unnecessarily complex but very realistic in the way Lizzy's life was thought out. She had a lot of things going on in her life and a lot of difficult decisions to make, but who doesn't at times? The story was very touching and I think I probably identified somewhat with it because of Jane's battle with cancer which was a main focal point of the plot. I have already looked up Katherine's other book and have it as on of my definite to reads for early this year since Lizzy & Jane was one of my favorites of last year. I will be keeping an eye open for her upcoming work. I can just hope that it arrives soon. Thank you to Thomas Nelson for our review copy. All opinions are our own.